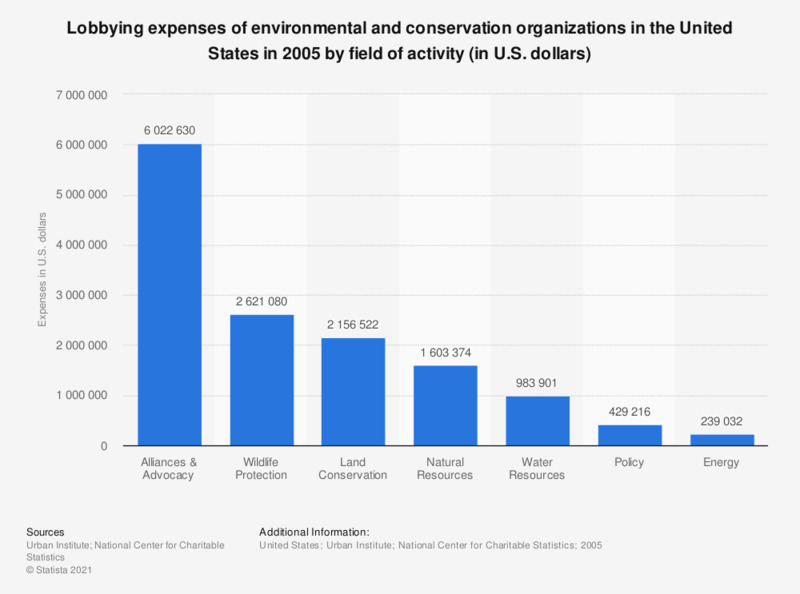 This graph shows the expenses of environmental and conservation organizations for grassroots and legislative lobbying in 2005 by their field of activity. In 2005, the total expenses in the field of natural resources amounted to 1,603,374 U.S. dollars. This data only considers organizations which filled the Form 990. The IRS Form 990 is titled "Return of Organization Exempt From Income Tax." It is submitted by tax-exempt organizations and non-profit organizations to provide the Internal Revenue Service with annual financial information. A short version, Form 990-EZ, may be used by organizations with gross receipts of between $25,000 and $500,000 and total assets of less than $2.5 million. (Organizations with gross receipts of under $25,000 in a year are not required to file a form 990). Another variant, Form 990-PF, is available for private foundation organizations. Statistics on "Nonprofit organizations in the U.S."
Percentage change in nonprofit charitable receipts in the United States from 2016 to 2017, by subsectorChange in nonprofit charitable receipts from 2016 to 2017, by subsector in the U.S.